In order to cater diverse requirements of the clients, we manufacture and export highly durable range of Industrial Storage Tanks. We offer them in varied standard sizes and are delivered as per the industrial requirement. All DM plants or RO plants require bulk Alkali Storage Tanks & dosing tanks. 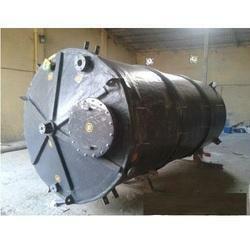 At DME we have the expertise to offer customized tanks suiting to your site requirement. 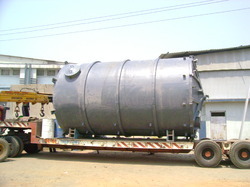 We can also take up site fabrication of over dimension tanks which eventually save lot of cost of transportation. 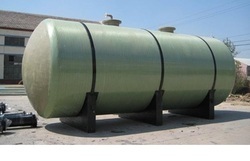 Being the reckoned names in the industry, we offer our clients wide range of FRP Storage Tanks that are durable in nature and have high tensile strength. Our entire product range has excellent impressive strength and is used in different industrial applications. We offer them with inner lining surface thereby retaining the quality of chemicals. Moreover, we offer them at most affordable rates. 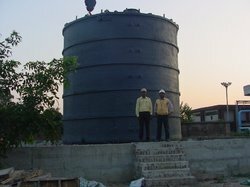 In order to cater diverse requirements of the clients, we offer our clients an extensive range of HCL Storage Tanks that is acclaimed among the clients for durable standards and high strength. We offer them in different technical grades and corrosion resistant in nature. With the assistance of experienced professionals, we are able to cater diverse requirements of the clients. 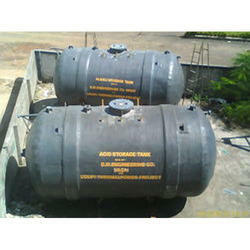 In order to cater diverse requirements of the clients, we offer wide range of Acid Storage Tanks that is valued among the clients for optimum quality and high strength. We offer them in varied standard sizes and dimensions and used in varied industrial applications. Our entire product range is in adherence with set quality standards. Enriched with vast industrial experience, we offer our clients varied range of FRP Chemical Storage Tanks that are manufactured with utmost accuracy. We offer them in varied standard sizes and dimensions and are delivered as per the set quality standards. They are chemically stable and do not reacts with the inner lining. Moreover, we offer them at most affordable rates.